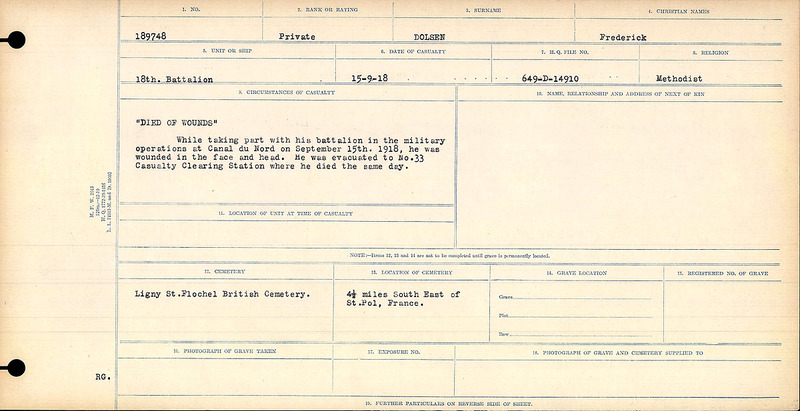 “Died of Wounds.” While taking part with his battalion in the military operations at Canal Du Nord on September 15th, 1918 he was wounded in the face and head. He was evacuated to No. 33 Casualty Clearing Station where he died the same day.